Vitamin D3+K2 - Natural dermocosmetics and dietary supplements. Collagen creams. Vitamin D and K play essential roles within our bodies that is why it is important to maintain their proper levels. In order to make it easier for you, we have prepared a product D3+K2 which within contains 1000% NRV of vitamin D and 200% of vitamin K. On the contrary to many other products, we have used organic K MK7 vitamins from soya, instead of synthetic which can be easily found in similar products. Product ingredients: bulking agent - maltodextrin, gelatine, vitamin mix: menaquinone MK7 (vitamin K), cholecalciferol (vitamin D); colourant - titanium dioxide. 1. Who should use D3 + K2? 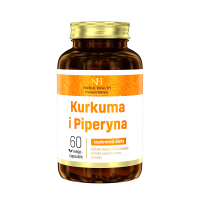 The product has been created for people who want to maintain a proper level of vitamin D and K.
2. 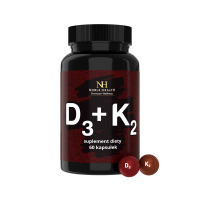 What is the composition of D3 + K2? The product contains: bulking agent - maltodextrin, gelatine, vitamin mix: menaquinone MK7 (vitamin K), cholecalciferol (vitamin D); colourant - titanium dioxide. 3. What are the properties of the product's ingredients? Vitamin D supports calcium assimilation, helps maintain healthy teeth and bones, as well as proper functioning of muscles and immune system. What is more, vitamin K is responsible for good blood coagulation and also helps maintain healthy bones. 4. How to use D3 + K2? 5. How to store D3 + K2? 7. What is the net weight of D3 + K2? 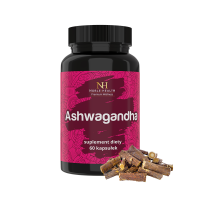 The net weight of the product is 24.24 g.